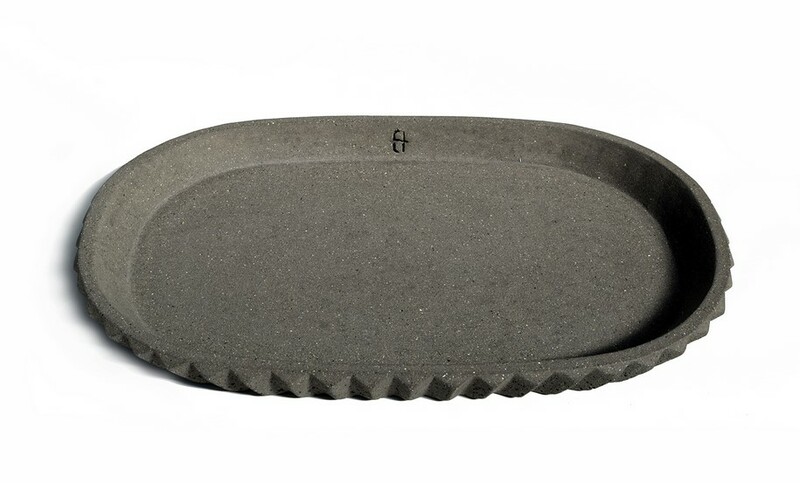 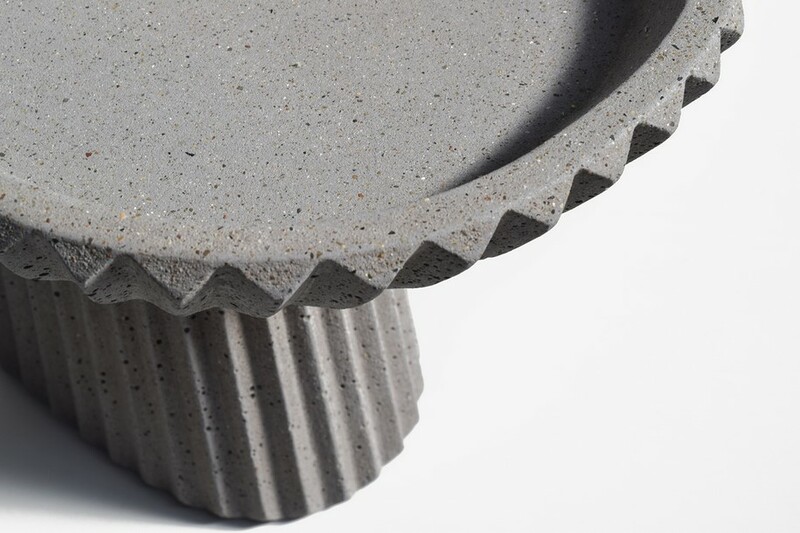 Gian Paolo Venier and the Greek brand URBI ET ORBI introduce us SIMAN collection: a new collection of concrete tableware inspired by Iranian architecture! 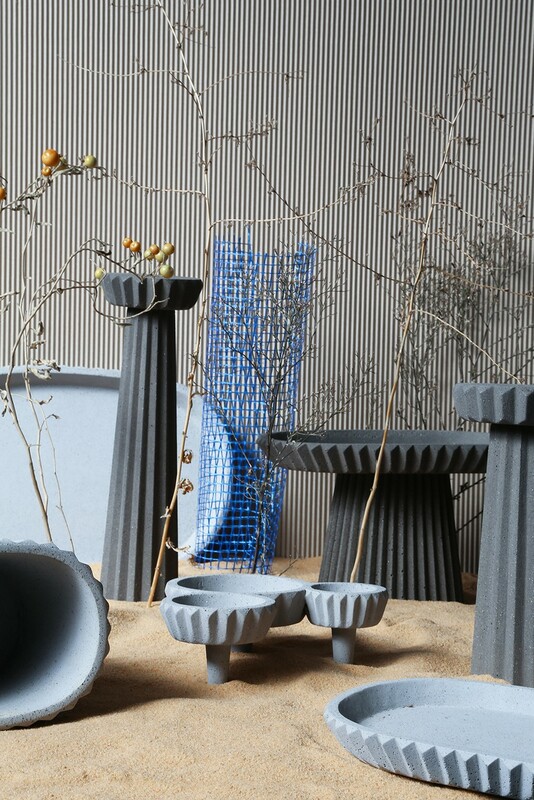 A postcard representing the ancient Toghrul tower, situated near Teheran (Iran) – that the designer received from an old Iranian friend – was the starting point for this collection of tableware. 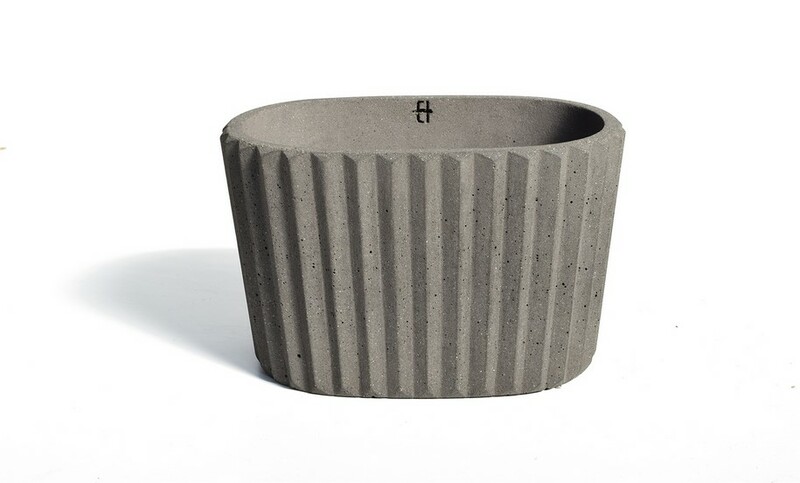 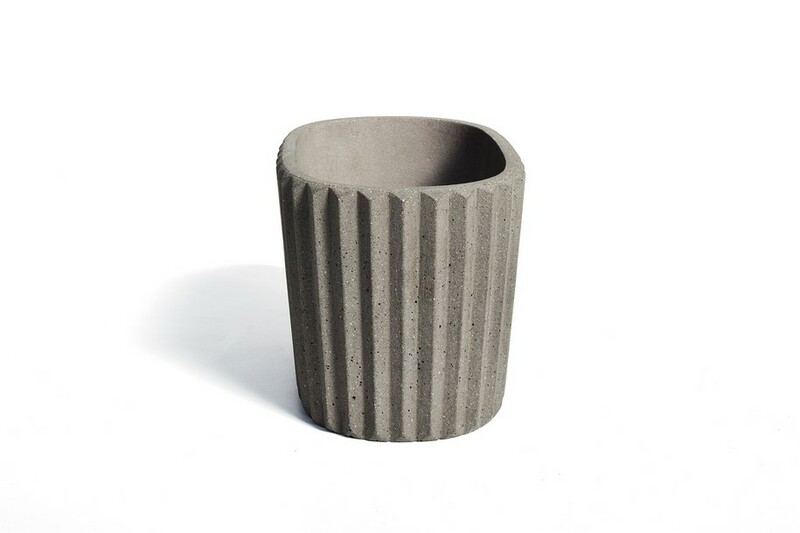 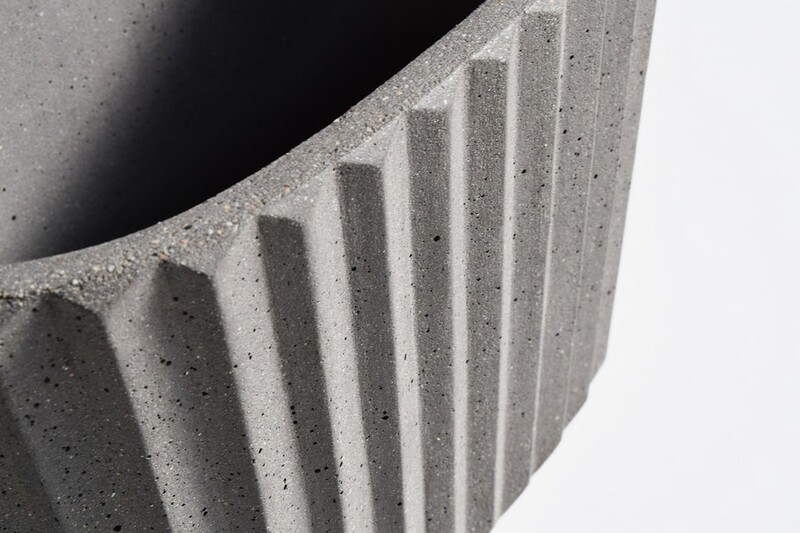 The name of the collection comes from the Farsi term “siman”, which means concrete. 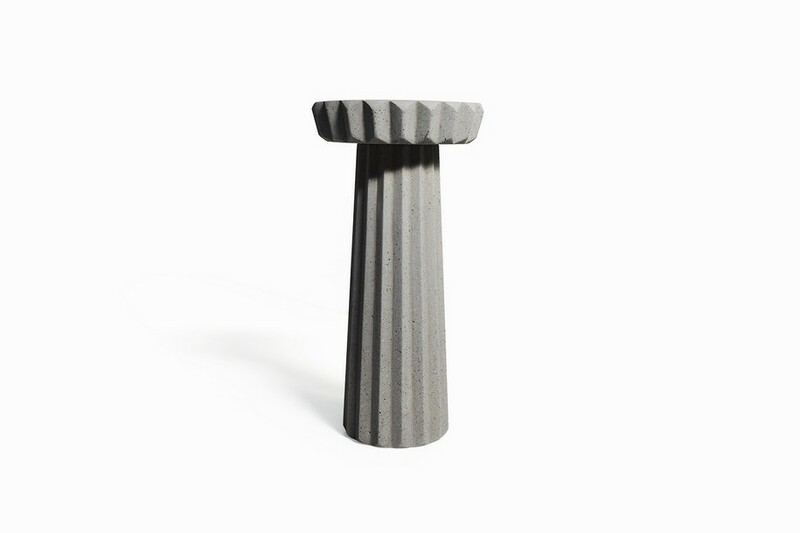 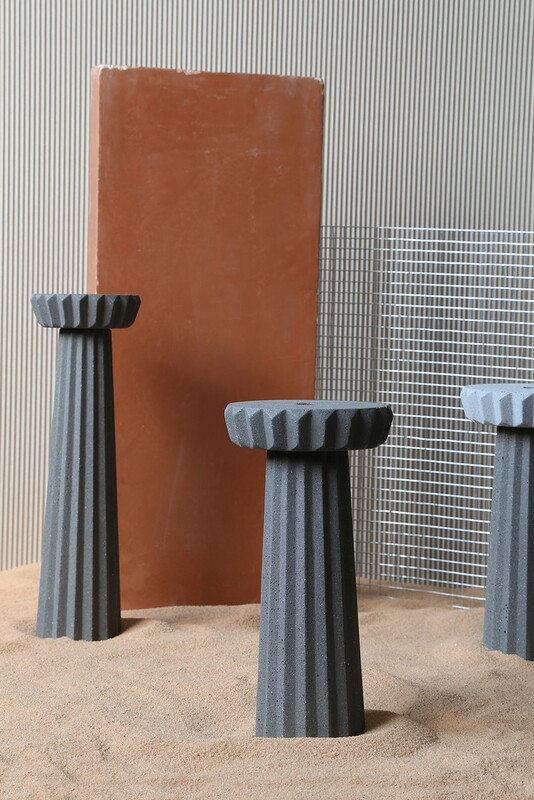 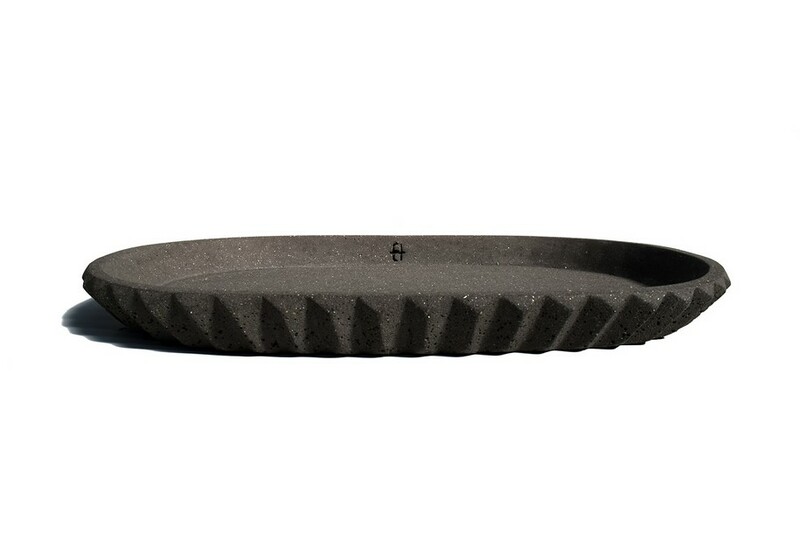 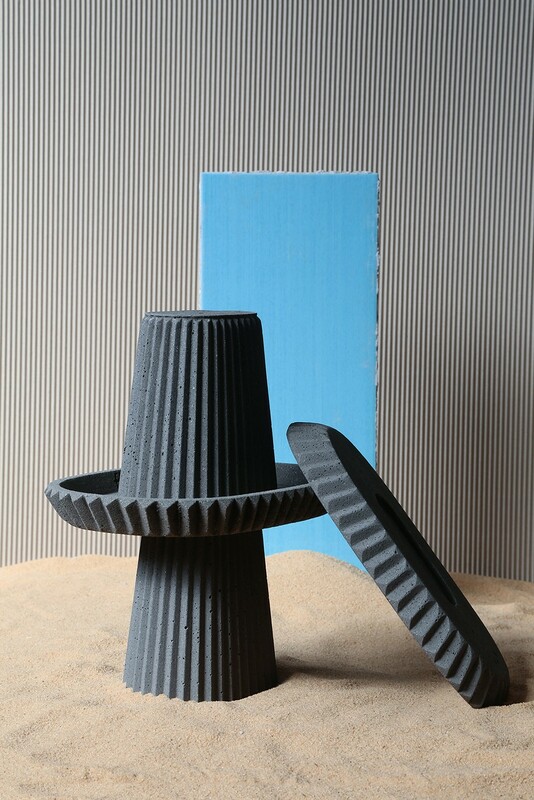 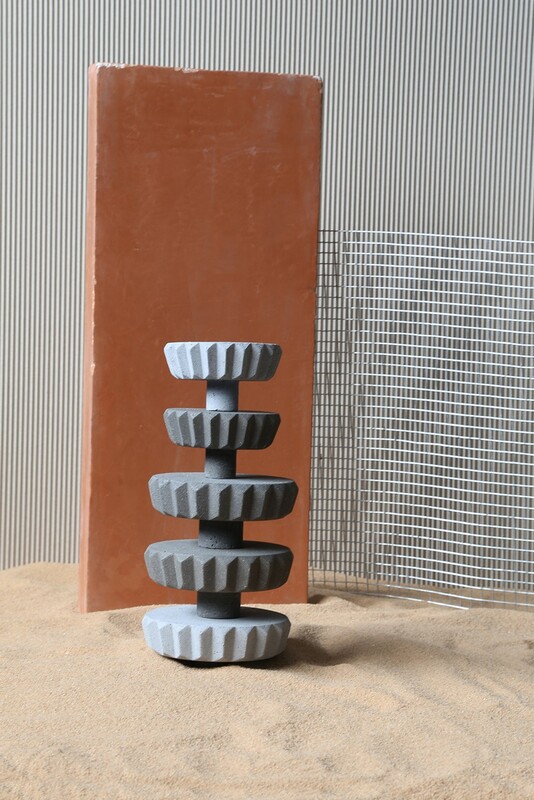 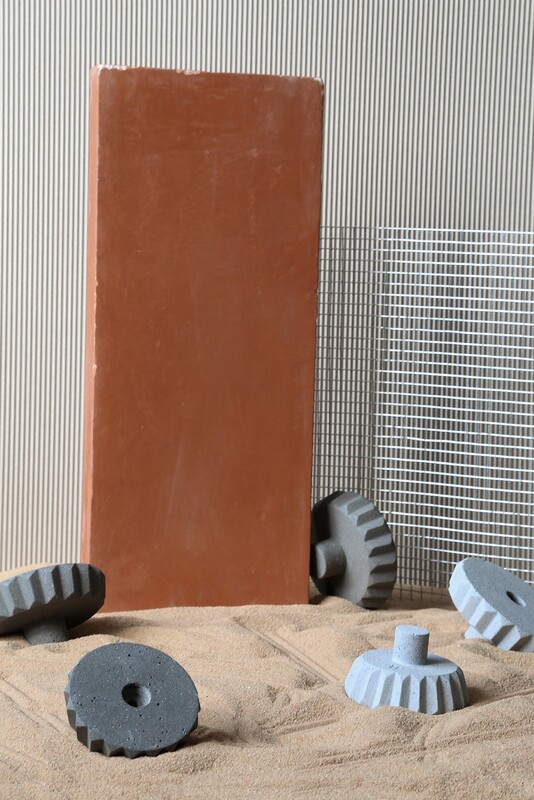 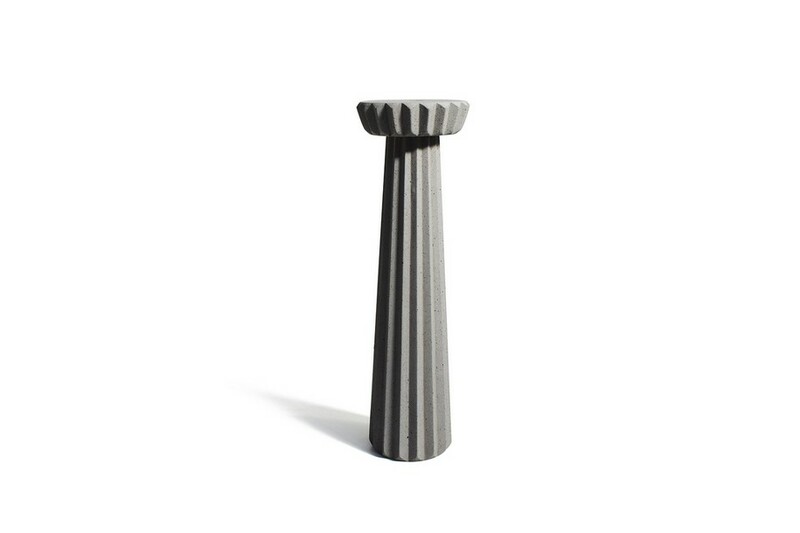 Marked by the iconic pleating – which creates an ever-changing game of shadows and depths – SIMAN was conceived for the Greek brand URBI ET ORBI, which is specialized in the production of concrete accessories for the home. 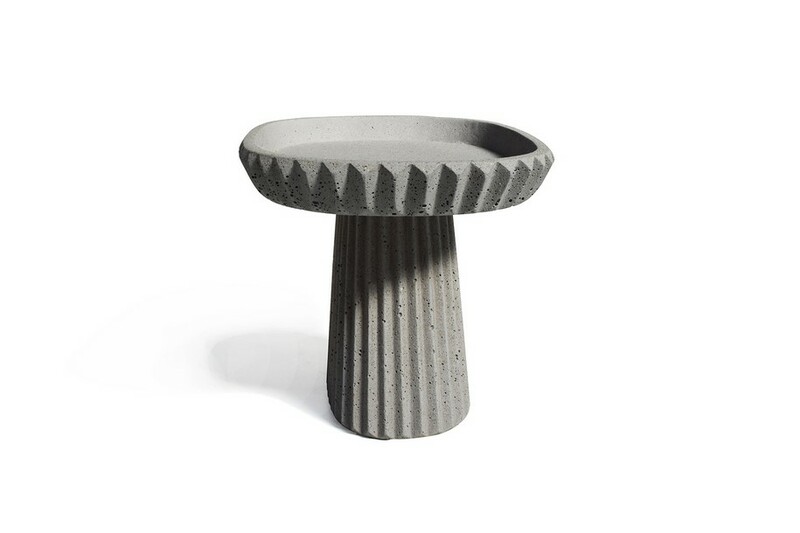 The 7 pieces – cake stand, candle-holder short, candle-holder tall, catch- all, dish small, dish big, vase – carry a strong architectural character and act as little architectures populating our interior landscapes with a highly graphic and timeless personality. 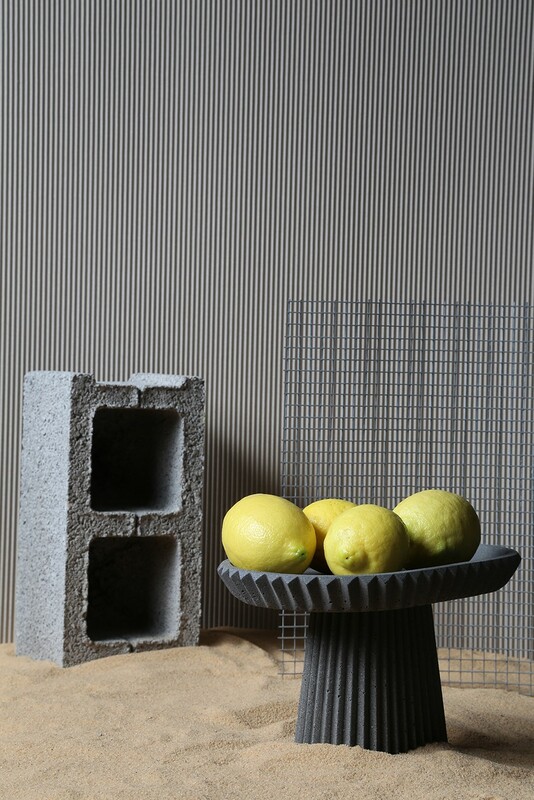 Available in 2 shades that highlight the texture of the concrete – light grey and anthracite – the collection is hand produced in Greece. 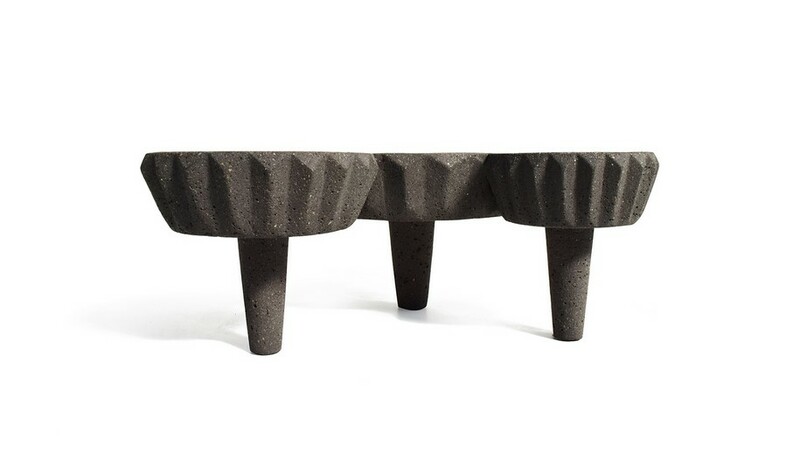 The pieces were first “sketched” by the designer using clay – a material dear to him as it allows to freely explore shapes and textures. 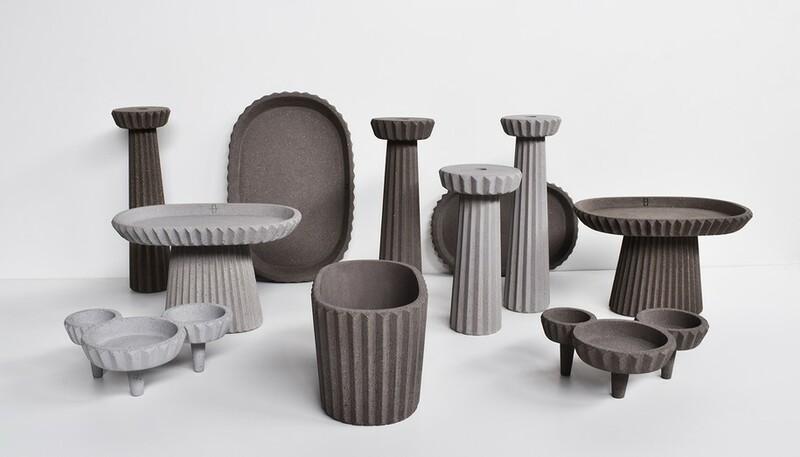 The resulting objects were then reinterpreted with a 3D modeling software and 3D printed in 1:1 scale. 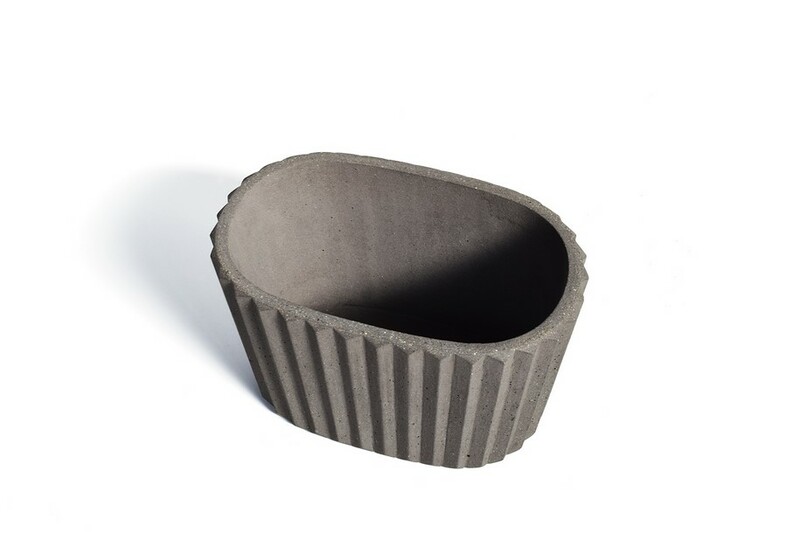 Lastly, these samples were used to create the silicon molds used by UrbiEtOrbi to cast the concrete pieces. 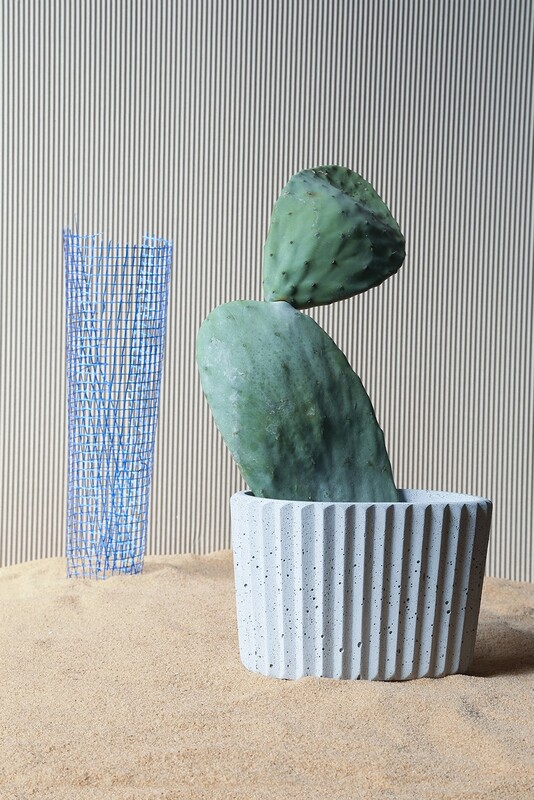 The articulated prototyping process – that mixed different and very distant techniques, from the “ancient” clay molding to the ultra-contemporary 3D printing – ensured the desired final feeling of the pieces, in-between tradition and innovation. 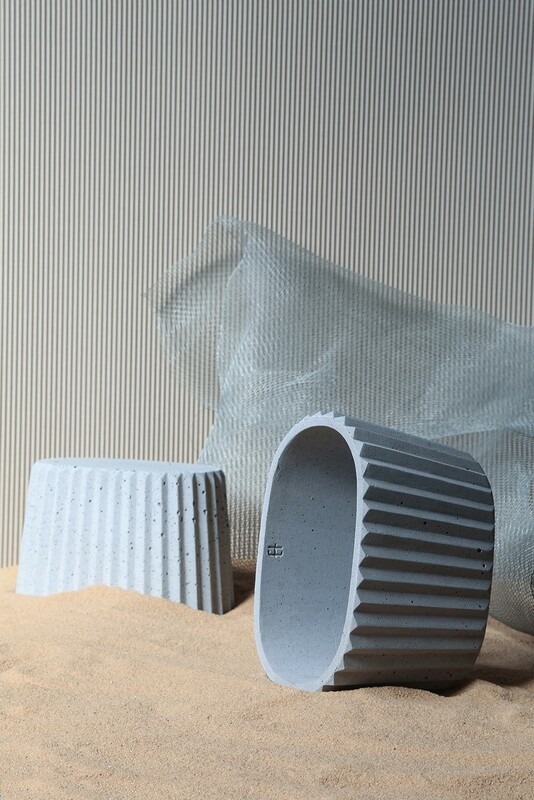 SIMAN will be officially launched in Milan, on the occasion of Salone del Mobile 2018, April 17-22. 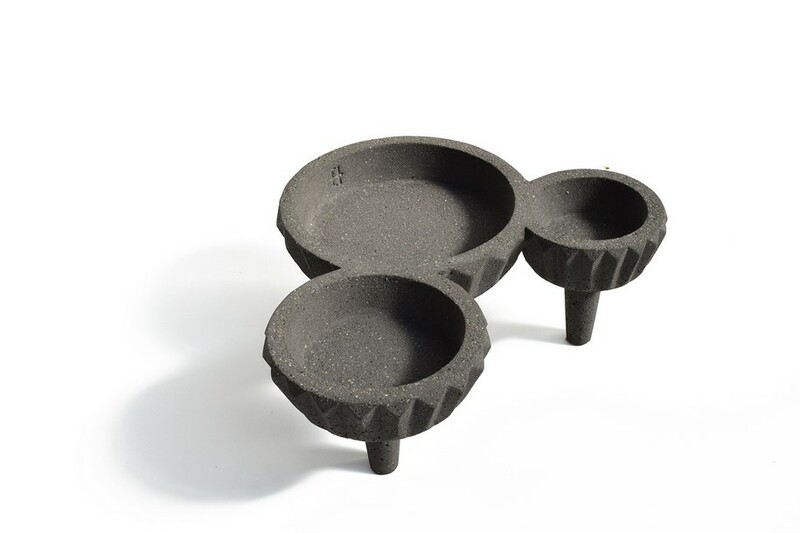 Find out more about Urbi Et Orbi products here!